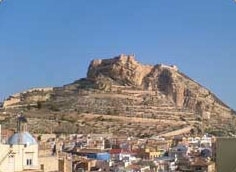 You can't fail to notice this impressive castle situated on an outcrop over looking Alicante City. 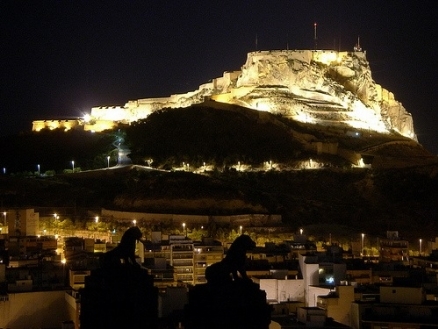 It's one of the largest medieval fortresses in Europe and covers the complete summit of the Benacantil Mountain. Originally built by the Moors in the 10th century, the castle received its name from the conquest of King Alfonse the Wise that took place on 4th December 1248: Saint Barbara's day. Over the following centuries it was developed and extended leaving it with three main areas all dating from different eras. 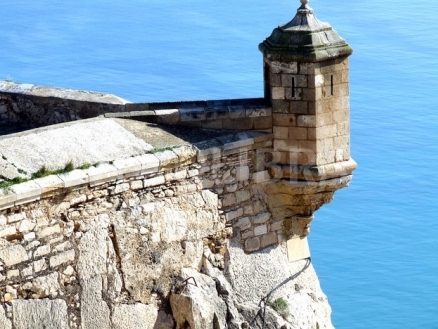 Santa Barbara Castle has everything you would expect, cannons, a palace, dungeons, a moat, the ruins of a small church and of course that famous lookout tower. From all around the walls you get the most fantastic views: a definite photo opportunity. And when you're tired of walking up and down steep paths, peering over cliff edges and pondering the places from where boiling oil was thrown, there are two café areas where you can take a break in the shade of pine trees The castle is free to visit and there are two entrance points. If you're feeling energetic you can walk along the road that winds around the back of the mountain, or if you're short of time you can drive. 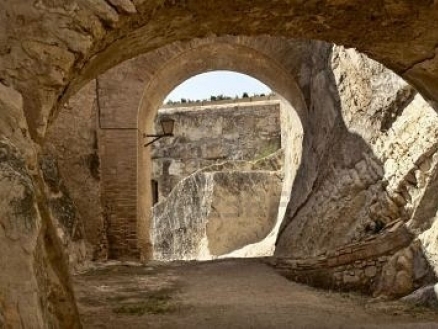 The easier way, incurring a small charge (but free if you are disabled or an EU senior citizen) is via an elevator going up through a tunnel carved out of the rock. You find the entrance opposite the Postiguet beach area. 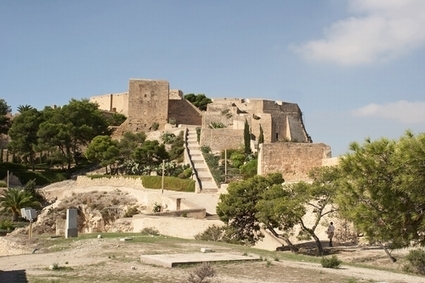 Santa Barbara Castle is an excellent place to visit at anytime of the year. In the height of summer it’s a perfect place to catch the sea breeze, whilst in the cooler months the walk up to the castle through the parks and pine wood allows you time to reflect on the difficulties of capturing it.